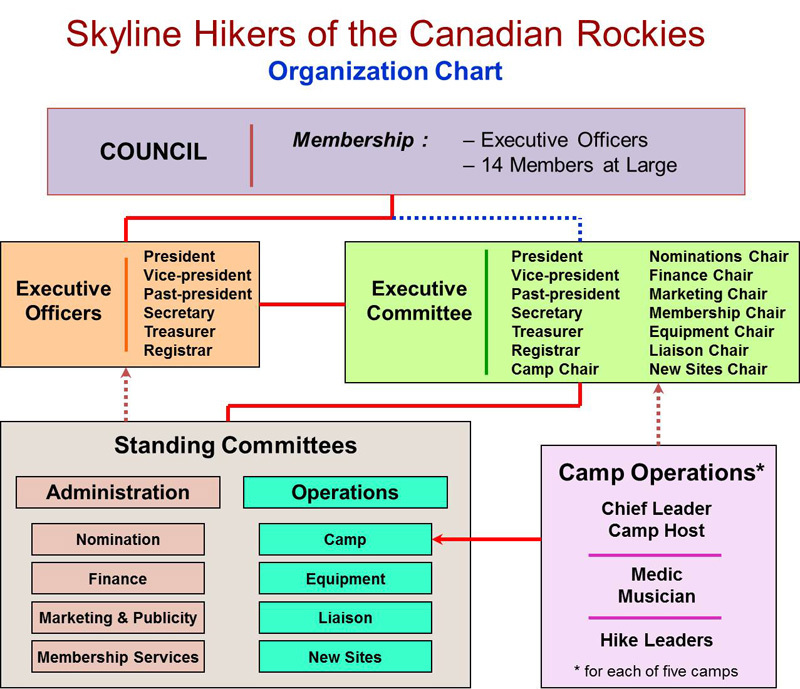 Established in 1933, the Skyline Hikers of the Canadian Rockies is a not-for-profit organization registered under the Societies Act of the Province of Alberta with its own constitution and volunteer executive committees. 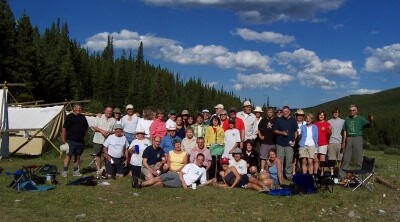 Each summer, a base camp is established in a different location within the Canadian Rockies, and five 6-day camps are coordinated out of this base camp. Skyline Hikers is named in the 1997 Banff National Park Management Plan as a permitted user of several Park sites on a rotating basis and is also named in the Bow Valley Study as a desirable user. Skyline Hikers is an entirely volunteer operated organization with volunteers from across Canada who share a passion of camping and hiking in the wilderness (backcountry) areas of the Canadian Rockies and who are members of hiking and outdoor groups in their hometown. It takes many hands to sustain the organization and to plan, organize and operate the annual summer camp and hike program in a different location each year. The organization chart below shows the extent of the volunteer efforts. It is the countless hours put in by the volunteers year round that makes for a successful organization and camp program.